Candidate Trump repeatedly threatened to shut down the internet out of the mistaken belief that this would keep Americans safe from outside threats. Trump’s since offered few specifics about how this might be achieved, but that hasn’t stopped him from surrounding himself with surrogates intent on restricting access to open networks and punishing reporters who question his agenda. In the absence of these protections, ISPs can skirt laws designed to protect private data about internet users’ health and finances. These companies can now buy and sell information on your online habits — and use this to access everything you do online without your permission. In that Pai was alone. The move in Congress was met with widespread bipartisan anger, with critics accusing Pai and his Trump-administration allies with selling out their constituents’ privacy rights. The administration also served warrants on Facebook demanding disclosure of all information from the accounts of two activists and a page affiliated with the large-scale Inauguration Day protests. The requested information includes all photos, videos, posts, private messages, video calls, billing information and other data in the weeks prior to and after Jan. 20, 2017. 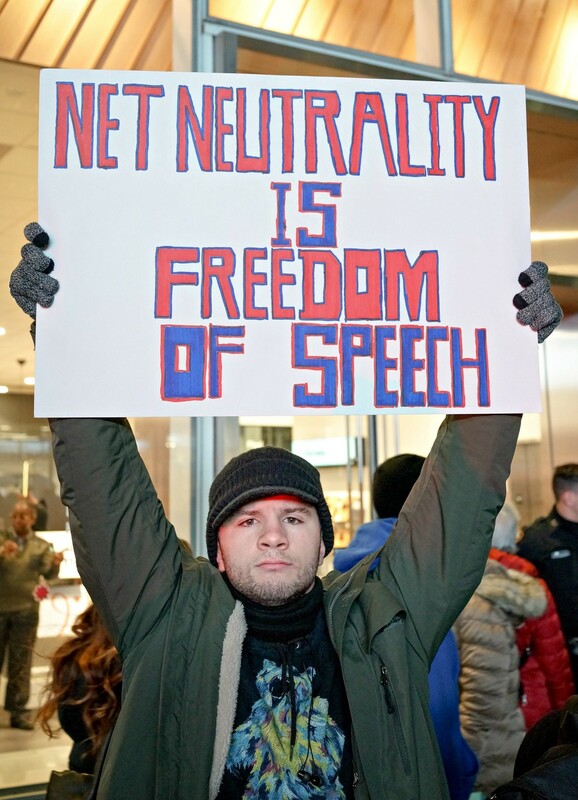 “Net Neutrality has been called the First Amendment of the internet,” wrotemore than 30 press freedom, civil liberties and open government groups last month. The Trump FCC’s vote gave a green light to an Iranian regime intent on further suppressing online freedoms, according to the Center for Human Rights in Iran. “Violations of Net Neutrality in Iran are part of the Iranian government’s systematic efforts to censor the internet,” the organization reports.